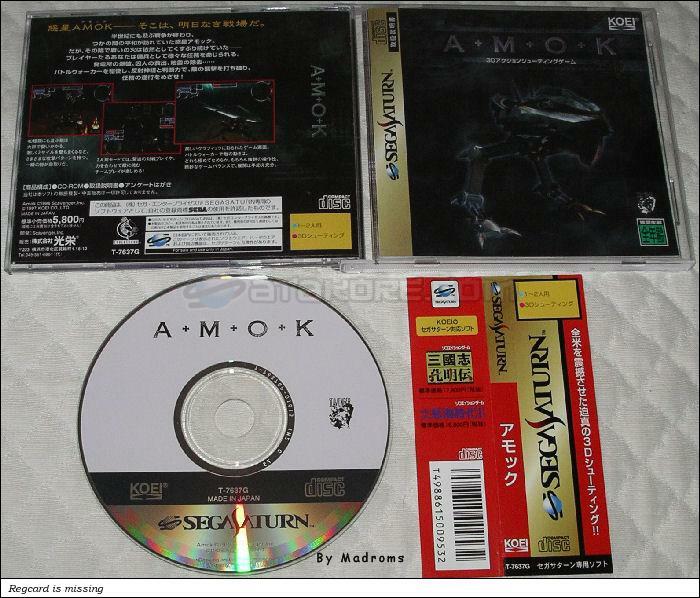 AMOK (アモック) is an Action - Shooter game, developed by Lemon, which was released in Japan in 1997 for the Sega Saturn. Amok. Post-apocalyptical shmup. Face the world's vermine with your walker, locked and loaded for pure brutal action. Wether on earth or underwater, the action is simple: shoot and destroy wathever appears in front of you. Game graphics are unfortunately a bit poor but the 4 full-surprised levels will make you stay tuned. And if you need more madness, ask a pal and go for the two players mode ! Your energy will decrease, but you can't loose lives. Move south after completing the objectives in mission 1, phase 2. In dead end canyon, enter the alternate exit to start a bonus underwater mission.